A whopping three-quarters of businesses are using automation tools in 2019, with most businesses (83%) using it for social media post scheduling, according to a recent survey by Social Media Today. Automation tools are already accepted, to at least some degree, by most marketers. But more importantly, which marketing processes do businesses believe can be viably automated? “According to our survey, social media post scheduling, email marketing (including audience targeting and the use of templated messages) and social media advertising (retargeting) are the top three processes that can be safely automated without reducing overall effectiveness or audience connection,” the Social Media Today report claimed. It is common knowledge that many marketers are still scared to adopt marketing automation. However, the majority of businesses are adopting the trend and seeing real results. But what marketing processes CAN be automated? According to the survey from SMT, social media posting, email marketing and social media advertising are the top three processes which can be safely automated. Other processes included messaging, chatbots, sales prospecting, alerts and PR outreach. “Most social media managers would no doubt agree that post scheduling is acceptable – especially those who manage multiple accounts. The capability to analyze your audience behaviours, and target your posting based on when they’re active online, is a solid bet, and sensible use of basic automation processes,” The report continued. 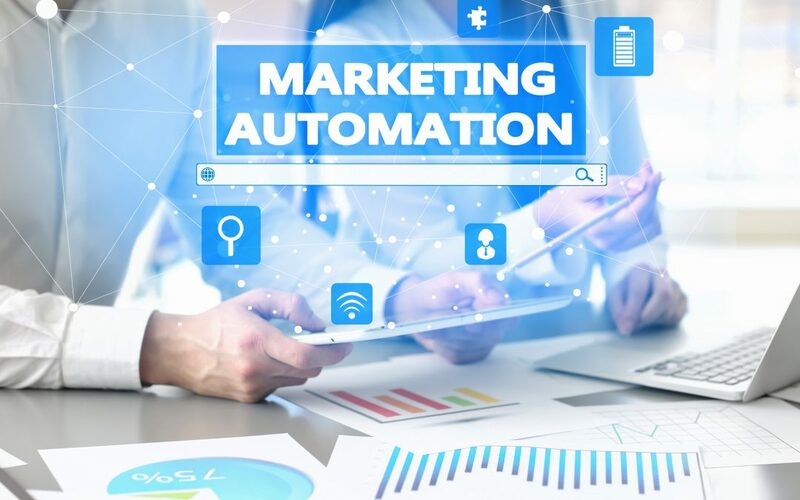 Lack of personal connection and the risk of harming brand perception appeared to be the most common concerns for marketers when adopting marketing automation. Other popular concerns included a lack of control over the process and the risk of missing opportunities. “Can automation tools be relied on to ‘speak’ with potential customers in an engaging, beneficial way, in order to maximize such opportunities? That seems to be where the key question currently lies – at present, you’d have to say that not all can do this successfully, but advances in chatbots, for example, have moved more in this direction, providing personalized, immediate responses which are relevant to the questions being asked,” stated SMT. Creating content was the most common answer, with 67% of respondents answering just that. Audience research (44%), tracking ROI (42%) and developing effective ad approaches (34%) were also high on the list, along with audience segmentation (28%). When asked if they feel a level of automation is inevitable for your business specifically, a massive 72% of respondents said yes. Almost a quarter said no, and 4% said it was too early to tell. The onus is on both business owners and automation providers to gain and facilitate more understanding of such processes, and not only how they can be of benefit, but how, specifically, they can work to deliver better results. As with many elements of the new media landscape, digital literacy is key. If we’re going to evolve to the next stage — which most concede is coming — then we need to invest in understanding and develop processes that deliver effective, personalized and responsive performance. This is possible with automation tools, but it may require a different way of thinking in how they’re adopted.